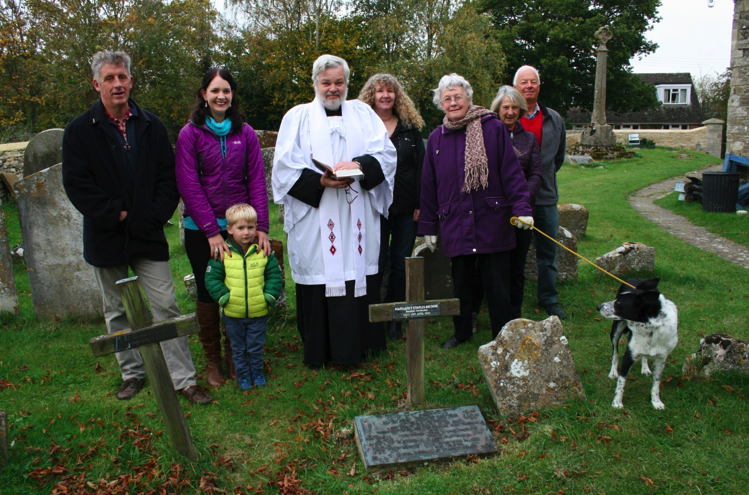 On 20 October 2016 the community of Oddington gathered at the grave of our beloved Maori Princess, Maggie Papakura, to commemorate the anniversary of her birth in 1873. Our new rector, the Revd. Steve Hayes, led the prayers, both in Maori and English. Steve’s last post was vicar in Napier, New Zealand, serving in the Waiapu diocese. The parish was represented by Dr Adrian Young, Chair of the Parish Meeting. In the evening the church was floodlit in memory of Maggie and the newly restored church bells were rung by the Churchwarden, Nigel Lambert.